Product prices and availability are accurate as of 2019-04-11 12:15:38 EDT and are subject to change. Any price and availability information displayed on http://www.amazon.com/ at the time of purchase will apply to the purchase of this product. 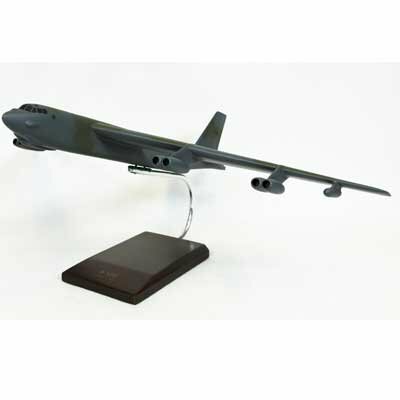 The B-52 Stratofortress is a long-range, subsonic, jet-powered strategic bomber. The B-52 took its maiden flight in April 1952 and has been operated by the United States Air Force (USAF) since its introduction. 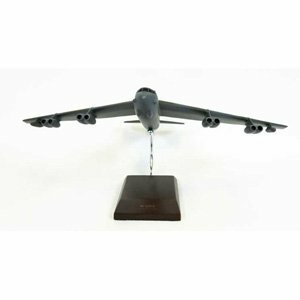 The B-52 was built to carry nuclear weapons for Cold War-era deterrence missions, it can carry up to 70,000 pounds of weapon. The B-52 replaced the Convair B-36. 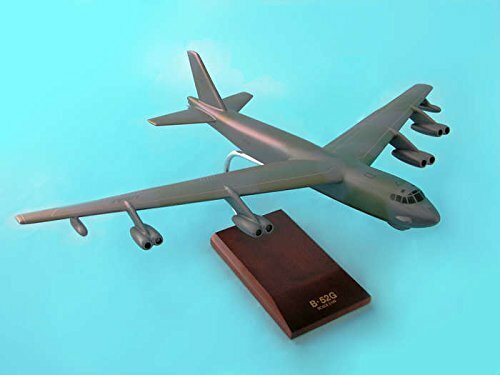 Superior performance at high subsonic speeds and relatively low operating costs have kept the B-52 in service despite the advent of later aircraft. 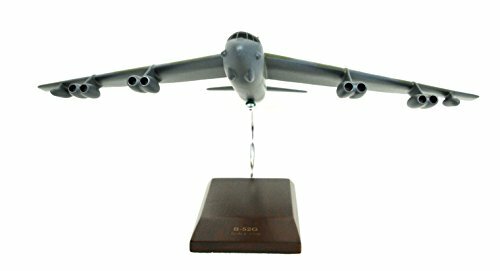 In 2005, the B-52 marked its 50th anniversary of continuous service with its original operator and after being upgraded between 2013 and 2015 it will serve into the 2040s.This handcrafted model is painstakingly built from Philippine mahogany by our skilled craftsmen with a wealth of detail and makes a great gift for any veteran, aviation enthusiast or history buff.